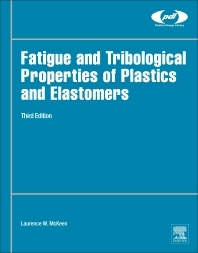 Part of a series of data-rich handbooks within the Plastics Design Library, Fatigue and Tribological Properties of Plastics and Elastomers provides a comprehensive collection of graphical multipoint data and tabular data covering the fatigue and tribological performance of plastics. The handbook is structured by grouping together plastics of similar polymer types into ten chapters. Each of these chapters is split into two sections: Fatigue Properties and Tribological Properties, and together they provide a compendium of several hundred graphs and charts, supplying the core data needed by engineers and scientists on a day-to-day basis. The data for this third edition has been updated to cover upwards of five years since the previous edition was published, and also includes an entirely new chapter covering sustainable and biodegradable polymers. The book also includes an extensive introductory section covering fatigue, what it is and how it is measured; the fundamentals of tribology; polymer chemistry and plastics composition. These chapters also provide readers with a full understanding of the data section, and how to put it to use as a hard-working information tool. Larry McKeen has a Ph.D. in Chemistry from the University of Wisconsin and worked for DuPont Fluoroproducts from 1978–2014. As a Senior Research Associate Chemist, he was responsible for new product development including application technology and product optimization for particular end-uses, and product testing. He retired from DuPont at the end of 2014 and is currently a consultant.